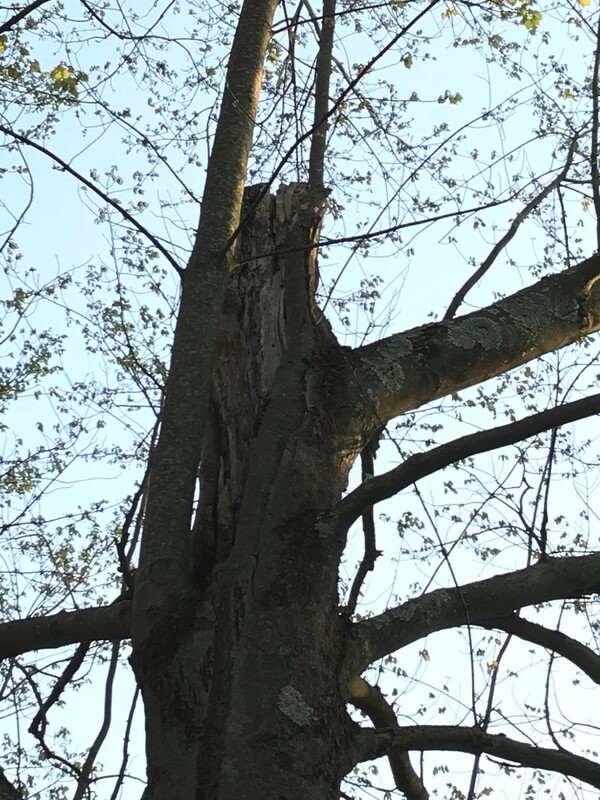 I have a tree on my property, not sure what type. It looks like the top main trunk broke off at some point in the past. As you can see it has been long enough since that another smaller line has grown right past the broken part. But there is still a lot of broken exposed inner wood visible and I am worried that it is rotting and will spread down the trunk. From the photos you can see that there is a main branch to the left of the broken trunk, as well as a somewhat smaller branch to the right. 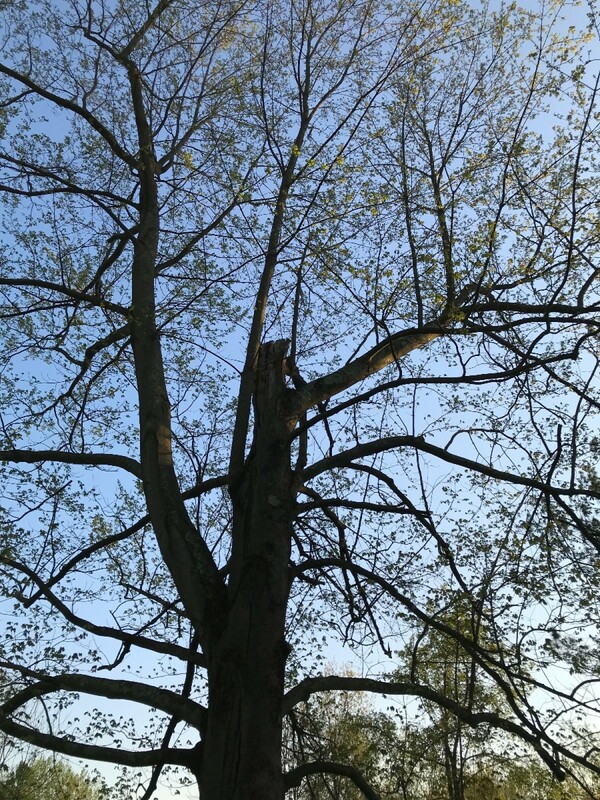 My thinking was to chainsaw the broken former main trunk straight across, just above where that right branch is growing out, thus removing a majority of the broken/rotting wood. Does this look like the right spot? Also can I clean out and fill any remaining broken/rotting wood, or am I better off cutting even lower down to remove all broken wood? I would turn off all the rotting wood. I think fall is the best time to do this. When cutting branches, even for a year pruning only, you should always cut the branches with a strong bevel. 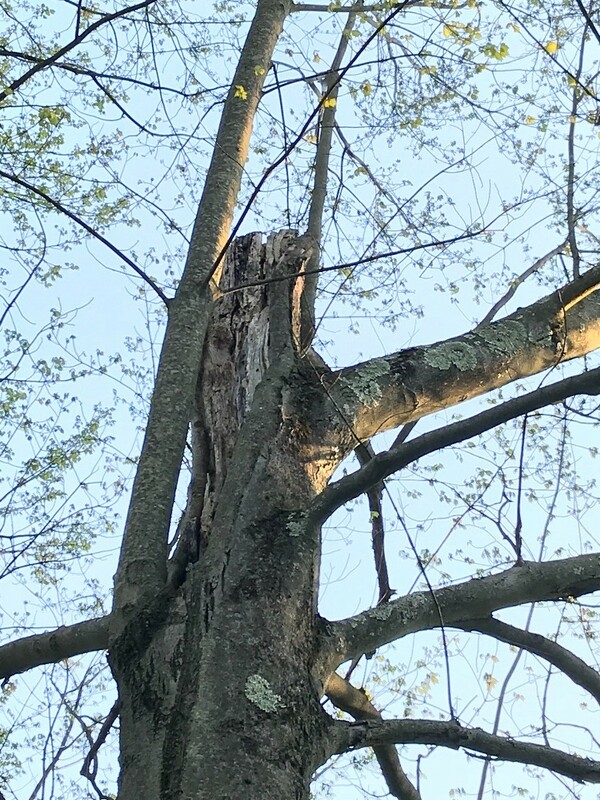 When branches are cut straight the rain water stagnates and get into the wood when the cutting is beveled the rain water will slide along the cutting. After cutting the branch cover the cutting with vegetal tar (pine tree made tar called Norvegian tar) If you can't find the Norvegian tar burn the surface of the cutting and cover it with lin oil.